What is a pocket system with frame? To install this kind of pocket system the first step is to build one side of the wall, secondly to fit the pocket system, then the door and finally the other wall needs to be built to cover the whole system. The wall will be finished with a frame and architrave to match the door. 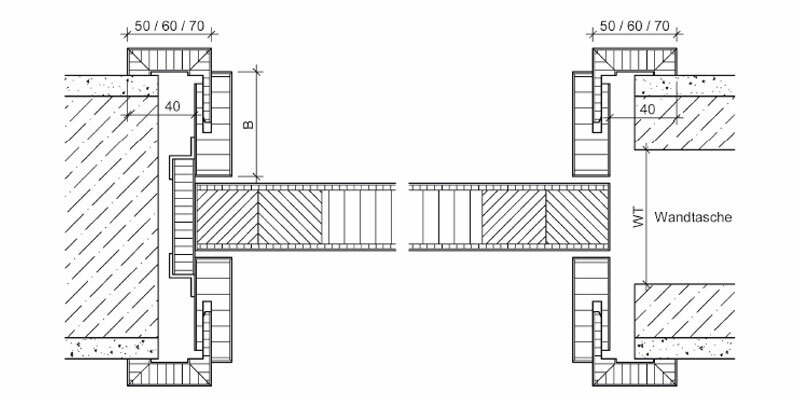 For fitting instruction for the A120 sliding system please click here. The frame comes as standard for wall thicknesses of 140mm or 160mm. 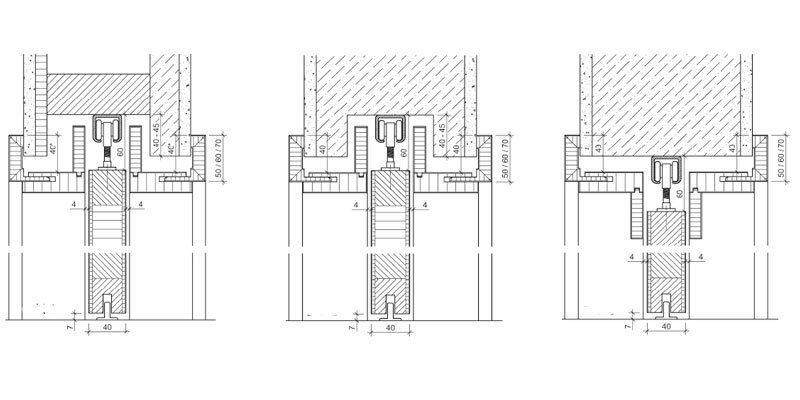 Architraves suitable for this system are 50mm, 60mm or 70mm depending on the finish. 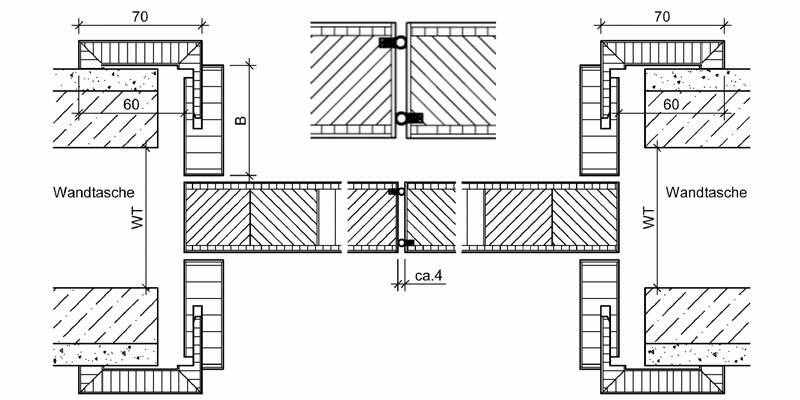 For different wall thickness or sizes of architraves please contact us. 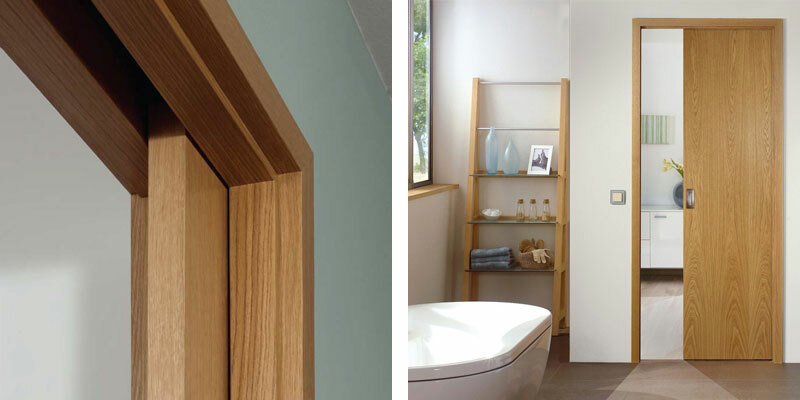 Sliding pocket system A120 can be used for double pocket doors installation with a frame. The double doors in their closed state will have a 4mm gap between them. For laminate finishes, please click here. For real wood veneer finishes, please click here. For painted finishes, please click here.